As the Black Friday frenzy is about to begin, countless online retailers are gearing up for the biggest online shopping event – Cyber Monday. Behind the scenes, decisions are being made about what products will go on sale, what promo codes will be created, and how steep the discounts will be. But the biggest deal that online shoppers are looking for when making a purchase is free shipping. 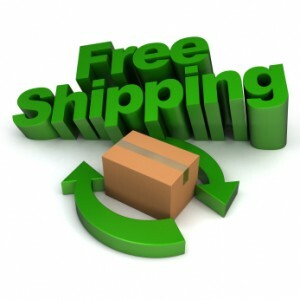 Research is available that clearly shows the connection between free shipping and the order value. In short, consumers spend more in order to receive the benefit. Of course, small retailers know there is no such thing as free shipping. A merchant considering offering this promotion for the first time should tie it into a minimum purchase requirement. This approach increases the average order size so as not to cut too deeply into your profits. Another recommendation is to include online coupons that offer an additional discount on an order. These coupons can be promoted on third party coupon sites for free. Consumers flock to these sites to find deals before making a purchase. If your competitor is listed and you’re not, you most likely lost a sale. As you plan your promotions for Cyber Monday, also remember that Free Shipping Day is coming up on December 17th. If you are considering offering free shipping but can’t afford to do so on a regular basis, you may want to test the offer on this day. This entry was posted on Wednesday, November 21st, 2012 at 2:11 pm	and is filed under CEO, Ecommerce. You can follow any responses to this entry through the RSS 2.0 feed. You can skip to the end and leave a response. Pinging is currently not allowed.